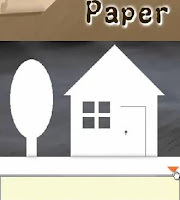 Paper Escape is a new minimalistic point and click puzzle game from rain-lens. If you are not familiar with this type of games, you play this by solving puzzles in it. There may be items around that you can pick up and use to solve certain scenarios in the game. If you need help in finishing this game, you might want to check out this Paper Escape walkthrough which shows the entire solution to the game.